The Rebel Sweetheart. : Winter Conservatory Care. 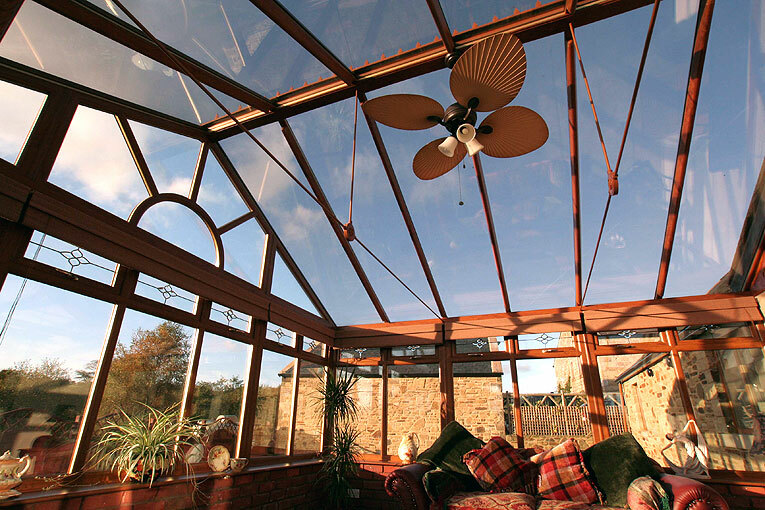 After high levels of rain and snowfall during the Winter season, your conservatory is likely to have been on the receiving end of a lot of punishment. Here are a few simple jobs that help return your conservatory to good condition after the frostier months. The seals around the glass panels of your conservatory can perish after a long battle with the elements. This will cause heat to escape and draughts to blow in, playing havoc with your heating bill. Check all the seals at the end of Winter for the early signs of this damage, the sooner you spot it the cheaper it will be to repair. This Winter saw lots of heavy snowfall which would have lay of the top panels of your conservatory. Snow is surprisingly heavy and is quite a load for the glass to bear. A small crack can be repaired, however, if you ignore it then it may expand and comprise the insulating properties of the glazing. If this happens you might have to have the whole pane replaced. A wooden conservatory requires regular preservation. If it is not frequently repainted or varnished, rot will eventually settle in. This will be cause the panes to become loose as well as being detrimental to the overall look. 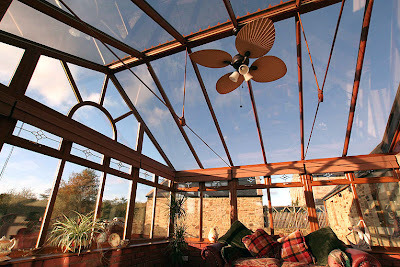 A fresh coat of paint or varnish will also help waterproof a conservatory and protect the timber from UV light damage. This also needs to be done after Autumn as your conservatory’s guttering is likely to be blocked with fallen leaves. You may assume that this biodegradable matter will eventually shift itself, however it is then likely to build up and block the downpipe. The guttering needs to be performing at its best during winter so you should scrape away any leaves at the end of Autumn. When spring arrives it will be full of debris taken from the roof by rain and snow so will need a second going over. Blocked guttering will cause water to build up which will leak in over time . The leaves themselves make a nice home for insects which might make a home in the timber sooner or later. Make the most of the sun by cleaning the glass in time for summer. Rain will have deposited debris from the roof over the glass panels causing them to block out light. By freshening them up you can allow more light to flood into your home which will help brighten it up after a long Winter. Author Bio: Joe is a blogger for Force8 doors and windows who writes about property, home improvement, interior design and green living.